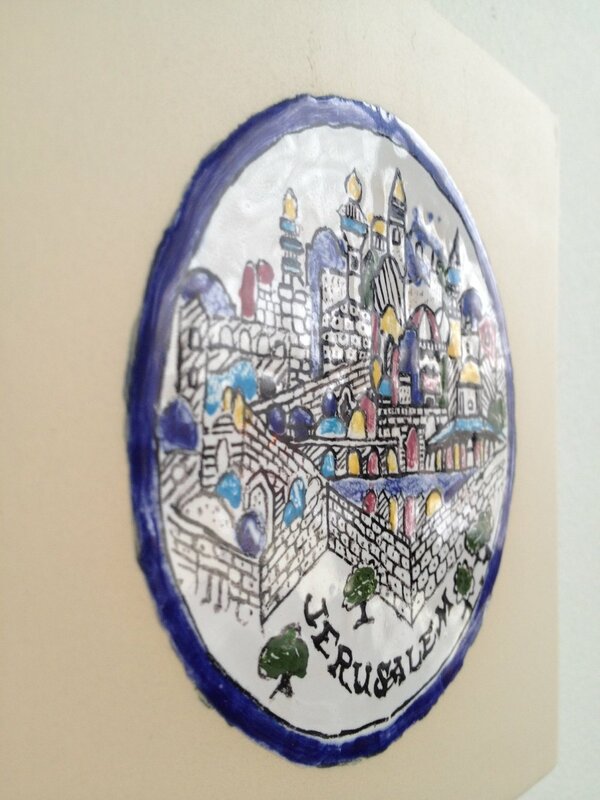 Jerusalem Coaster is a ceramic representation made in the image of souvenir coasters from Jerusalem found in a small shop in the Netherlands . The original coaster and my clumsy copy are made in the same materials: fired glaze and clay. My version was not made in Jerusalem and the glaze is entirely hand painted.